What do you think of when you imagine a sport dog? For many, the first thought that pops into their head is a border collie racing around an agility course so fast that you feel dizzy. A stronger bond and relationship with your dog, increased physical and mental exercise, having a “job” for your dog to do, and in every case - a ton of fun! Some dogs seem to fairly hum with energy. You have a hard time giving him enough exercise in a day, and no matter what you do he’s always ready for more. If that’s the case, your dog may be a perfect fit for some of the higher energy dog sports. As I mentioned at the beginning, agility is a given. These sport dogs fly around an obstacle course, following the directions of their handler who runs along beside. Obstacles include weave poles, jumps, cat walks, A-frames, and tunnels. Dogs are judged by how quickly they finish the course and how clean of a run they do. Points are deducted for faults, such as not having all four paws touch the contact zone at the bottom of an A-frame. Another high energy sport is fly ball. Here, two teams race each other over hurdles to retrieve a tennis ball, in relay fashion. A team consists of four dogs and their handlers, and is awesome for dogs who love to chase balls. Disc dogs, or canine frisbee, is a fun sport that almost any dog can learn. Very simply, the dog catches a frisbee that his handler throws. In competition though, it gets more difficult... it can include several discs, back flips, and vaults off of the handler. 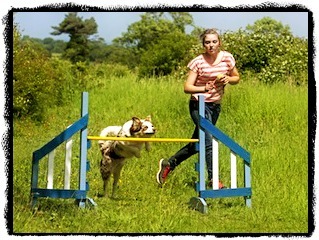 Dog agility is a fast-moving, fun sport. By far the most exciting in the round-up, protection sports are for the big boys and girls. While any breed is allowed to compete, you’ll typically see working and herding breeds here. I personally love the training that goes into the different protection-type sports. It’s important to keep in mind that protection training is a different ball game than these sports. The dogs do know that this is just for fun, and are not trained under stress like those for protection training are. Schutzhund is a sport that combines obedience training, tracking, and personal protection. A ton of training? You bet! These dogs must have a willingness to work and have a high prey drive for the tracking and protection work. French Ring Sport is similar to Schutzhund, in that it also focuses on obedience and personal protection. What’s different? 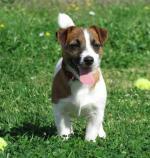 The sport dogs for Ring Sport need to be trained at a higher level, as no leash or collar is worn during competition. The other main difference is that during protection work, the decoy wears a full body suit, whereas in Schutzhund he wears only an arm sleeve. Without trying to confuse you, there’s one other sport in this category. Mondioring is an international sport that allows competitors from different countries to compete together - Schutzhund, French Ring, Belgian Ring and KNPV (Royal Dutch Police Dog Association). A Labrador Retriever sits at heel after retrieving a duck. There are so many sports that are tailored to what different breeds were originally bred for. Dogs who love water, running, herding, or even pulling can use their abilities to become successful sport dogs. Given the chance to explode off the end of a platform and splash into a pool of water after their favorite toy, any water lovin’ dog is a shoe-in for dock diving. Of course, swimming is good for a dog’s joints, so it even has health benefits! Retrieving is the perfect fit for any dog who loves to play fetch. Breeds such as Labrador Retrievers, Golden Retrievers, and any other naturally retrieving breed will likely enjoy this sport, but almost any dog can be trained for it. For those of you who like to run, bike, or ski, there are sports perfectly fitted to your lifestyle, too. Dog sledding is probably one that most people are familiar with. Here, teams of dogs are trained to pull a sled over the snow while the handler pushes the sled, runs alongside, or rides on the back of the sled. This is the most popular type of sledding done in North America, with both short sprints and long distance, multi-day events such as the Iditarod Trail Dog Sled Race. Similarly, skijoring is a sport that started in Europe where one or two dogs run in front of and pull their handler who is on skis. Gaining popularity in North America, it’s a fun sport that is a great alternative to sledding for many. Sled dogs love to pull! And what do these sport dogs do to keep fit when there’s no snow? Bikejoring is the sport where your dog(s) pulls you on a bicycle. And here’s one that you probably haven’t heard of before - canicross. Canicross (canine cross-country) is a great sport for those who like to run with their dogs. It’s the same idea - your dog runs in front and pulls while you run behind, connected with a special belt or line. Just think of how helpful it would be to have your dog pull you up those brutal hills! Dogs should be at least 30 pounds for sledding, and must have a desire to pull, be in fairly decent shape, with no joint or bone issues. As sledding is done in the winter, your dogs should be able to handle the cold as well! Northern breeds do very well with these sports as it’s what they were originally bred for. Don’t see anything yet that is a great fit for you and your dog? These last few sports see all different breeds, sizes, and ages of dogs competing in them. Competition obedience trials can be a great way to get your feet wet in sporting. Unfortunately, most trials sanctioned by the AKC (American Kennel Club) and CKC (Canadian Kennel Club) are for purebreds only. Talk about exclusive! My lovely dog, Justice, is a mixed breed, so after a bit of research I found the North American Mixed Breed Registry (NAMBR) where any dog can compete. Along the same lines is Rally-Obedience, or Rally-O. 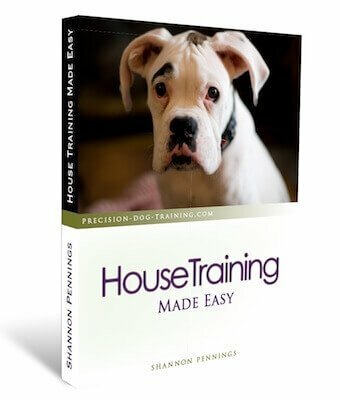 This is a really fun twist on competition obedience, where dogs and handlers must go through a course of designated stations while heeling. At each station, signs instruct the teams what sort of exercise they have to do. All breeds, ages, and sizes are welcome to compete, as well as dogs and/or handlers with disabilities. A fairly new sport, Treiball is a game that mimics herding. The dog works off leash by the handlers direction, using his nose and shoulders to move eight large rubber balls into a net within ten minutes. 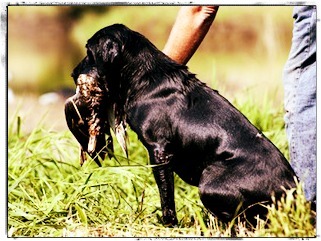 Maybe you don’t want to compete in a sport, per se, but are more interested in simply showing your dog. Conformation shows might look easy, but they also take a lot of training and preparation! Sport dogs aren’t necessarily “career dogs”. Anyone can train their dog in a new sport, without the stress of needing to compete. While competition is definitely a lot of fun for both dogs and handlers, many dog training schools offer sports classes that you can join just for fun. And who knows, maybe you’ll find that you have a competitive streak hiding somewhere inside that pushes you to trialing with your sport dog!